An old soul walks through life observing and absorbing every experience, encounter and lesson. They appreciate the spirit and the beauty of all that surrounds them. An old soul lives in a state of gratitude that they have the ability to see things differently, to see things beyond what most people see. While often a blessing, it is sometimes a curse, and it’s one they are willing to bear knowing it is serving them and those that they come in contact with in the best way. Words have the ability to take on different meanings based on one’s experiences. Everything in our lives shapes who we are and how we communicate. Negative experiences can shape the meaning of certain words, which becomes a limitation and can keep us stuck. An old soul understands that this perception exists but does not put those same limitations on themselves. And because they do not allow their experiences to dictate their thoughts and actions, they are often speaking a different language than those around them. Old souls are not interested in pursuing the typical paths to success. In fact, they define success completely differently than most. Because they are not caught up in society’s definition of success, they often chart their own path to a heightened sense of self-discovery and higher truth. Old souls often find themselves traveling this path alone and they are completely comfortable and even prefer it. Nothing feeds an old soul’s spirit like learning, and they know that taking in new knowledge frequently is their calling. They feel it’s their responsibility to learn and share the wisdom they’ve gained with the rest of the world, which they feel is moving away from connectedness and compassion. They believe it to be their responsibility to share the lessons that will reverse this trend. Contemplation is the cornerstone of an old soul’s day. Much of their time is spent contemplating what is learned, observed and experienced, putting it into perspective and absorbing these lessons. They believe everything has meaning, and they are on a constant quest to find it. Because of their serious and introspective nature, an old soul can seem intense. They don’t waste their energy on gathering friends. Instead, they cultivate a social network that is supportive and understands their true nature and relationship with learning life’s lessons. Old souls know everything has meaning and because of this, they want to learn constantly. They see an adventure in all that they do, and have a neverending list of things they want to experience. Nothing is off-limits to an old soul because they know there’s much value in new experiences, and the possibilities are overwhelming. They would take it all on if they could but instead they must choose their next adventures, and that can be challenging. An old soul is adaptable to most situations but even so, often finds themselves as an outsider. They get along with everyone and yet don’t do well with small talk. They are often welcome because of their insights but lose interest when others do not display the same higher-level thought processes. They love a good debate but don’t do well when people have a hard time seeing their point of view. In the end, an old soul belongs everywhere and at the same time feels like they don’t belong anywhere. An old soul thinks beyond the first-level thinking that many of us use on a daily basis. It’s like they are in a constant game of chess, thinking through every possibility of their opponent’s moves. And not just the next move, but several moves into the game. It’s this kind of higher-level thinking in life that makes it interesting. An old soul has a strong connection to the plights of the world, and they feel the suffering more than most. Of course, they also feel the love and compassion. But it’s the haunting of the world’s suffering that drives how they live and the actions they take. They feel it’s their duty to do what they can in service and spread the message of hope. Old souls do not attach themselves to one religion. Instead, they seek to understand and practice ancient traditions from a variety of cultures. They believe these traditions are a key component of living a meaningful and happier life. While they understand the truth can hurt at times, they know without a doubt that they must seek it to continue living optimally. Living in their truth means understanding and accepting the truth as it appears. It doesn’t discourage them; it is simply information they use to make the best choices moving forward. 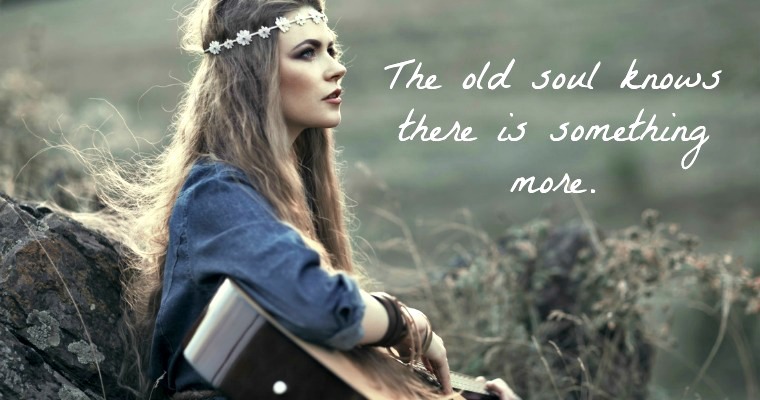 Many of us have bits and pieces of an old soul in us. However, we probably don’t cultivate the sense of learning and higher-level thinking enough to be considered a true old soul. When you come in contact with an old soul, soak up what they have to say. It is wisdom you can put into practice to help you live better.